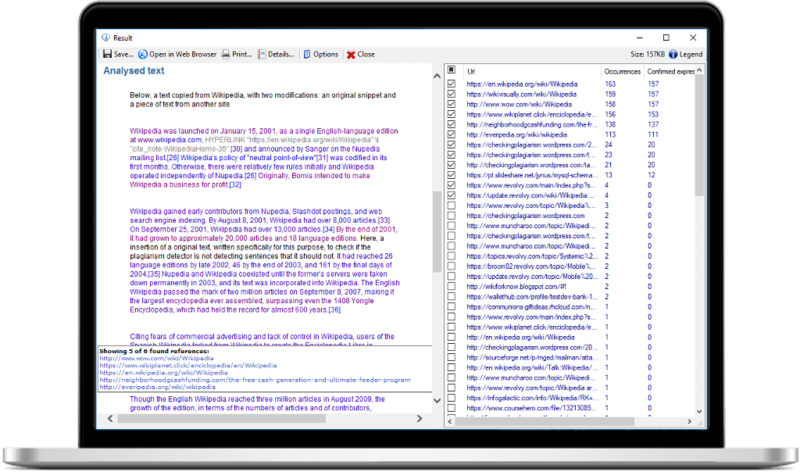 Plagius - Plagiarism Detector is a software that analyzes academic papers and documents in search of suspected plagiarism. 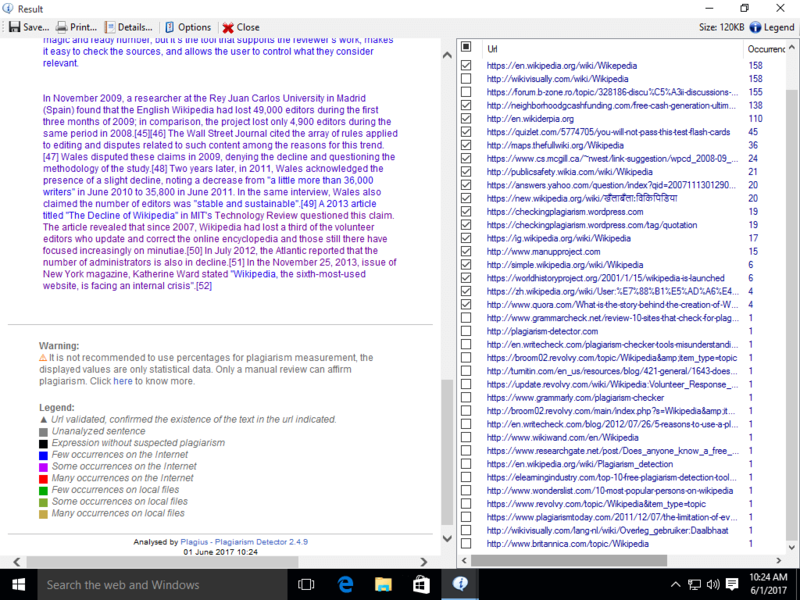 If the text was copied from the internet, the Plagius will find out! 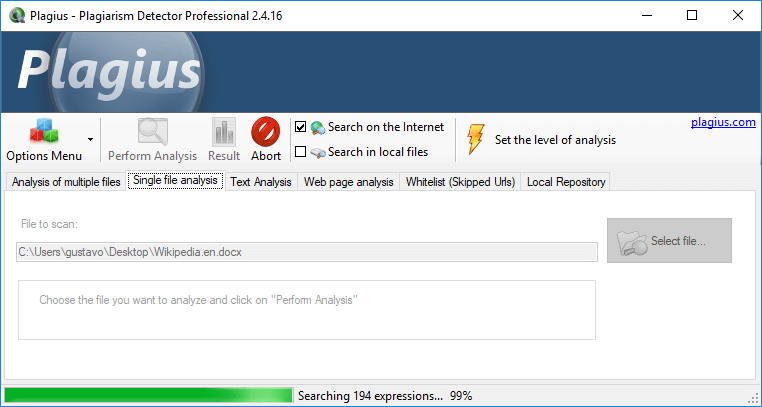 Plagius is a desktop plagiarism checker software that analyzes documents looking for suspected plagiarism by searching on the internet or in local files. 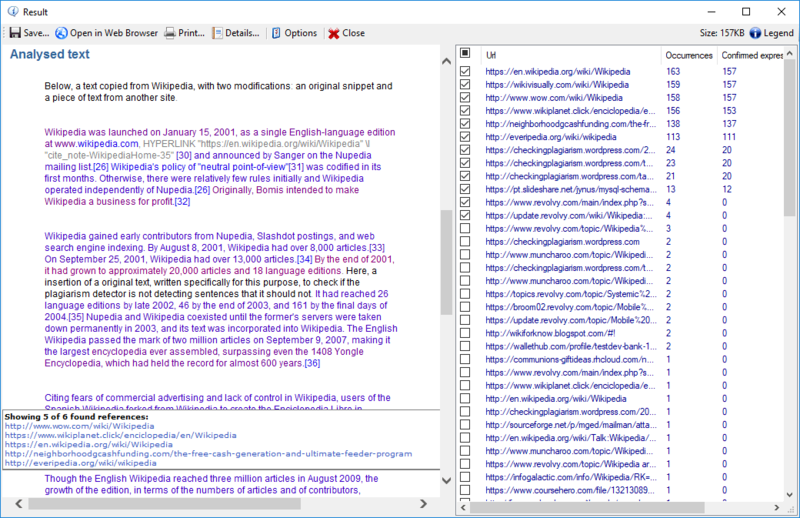 It is a tool to help in the hard task of finding plagiarism, allowing you to easily find sentences copied directly from websites or other files in your computer. Plagius examines documents of various formats (Word, PDF, OpenOffice, HTML, RTF, plain text...) and displays detailed reports, informing the references found, the frequency of occurrences on the Internet and the percentage of suspected plagiarism. The Plagius does the analysis locally, on your computer. Your work is not sent to be analyzed remotely. 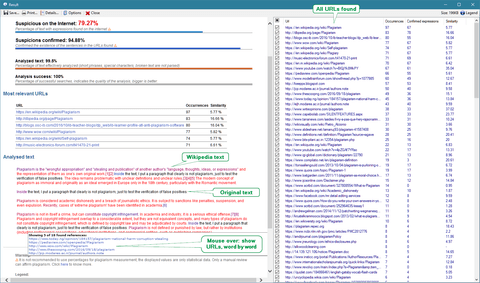 It is very simple to use: choose a file and start the analysis! It has exclusive algorithms that improve the quality and reliability of the result. Also looks for similarities with files on your computer. 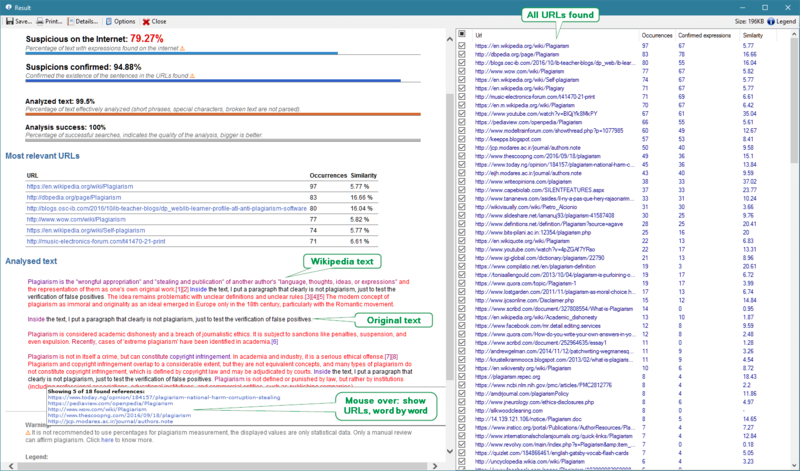 Use the Plagius at will, there is no page limit, analysis or file size. 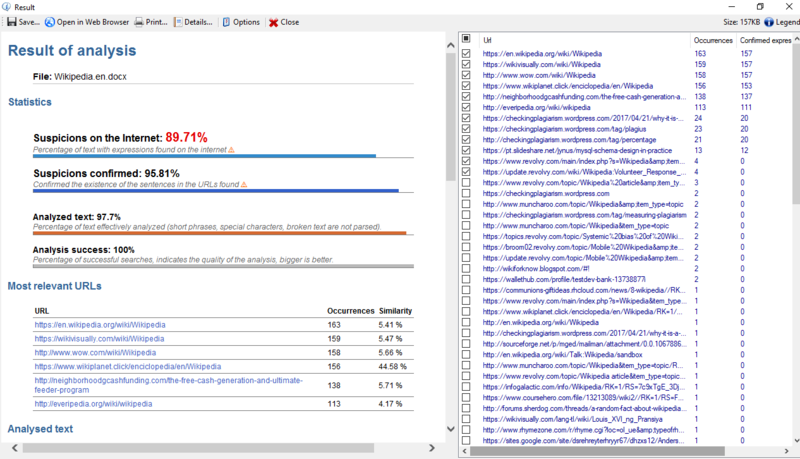 Opens the analysis result in your Web Browser or exports it to a html file. 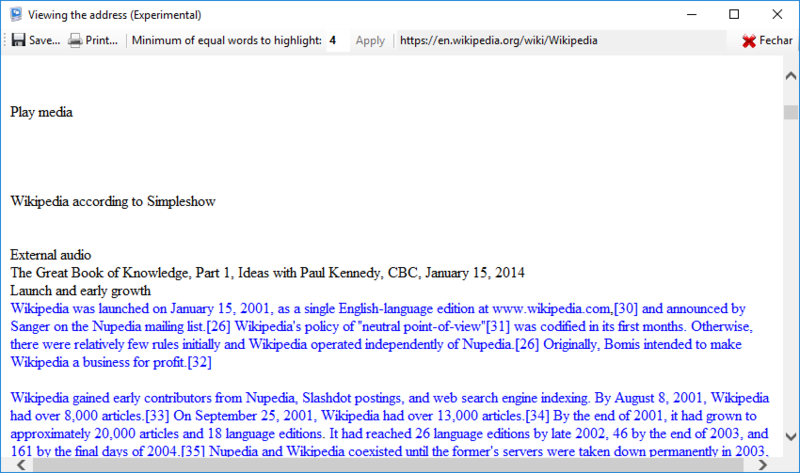 Know more about the plagiarism report of the Plagius. 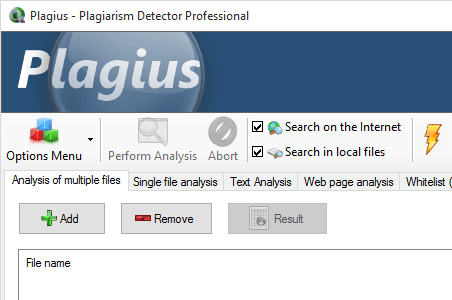 Get all plagiarism detection features with Plagius Professional. 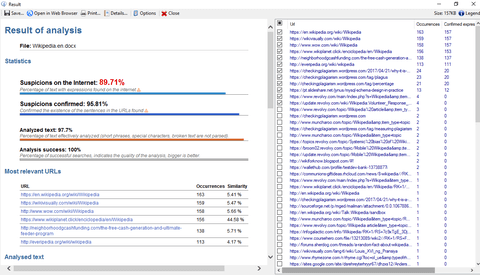 Local Search: It allows you to search similarities in files from your computer or network shares, click for more. Batch Search: Too many files to analyze? 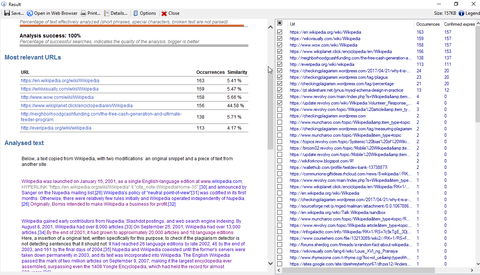 No problem, with Plagius Professional you can add all files at once and let the Plagius analyze them all. 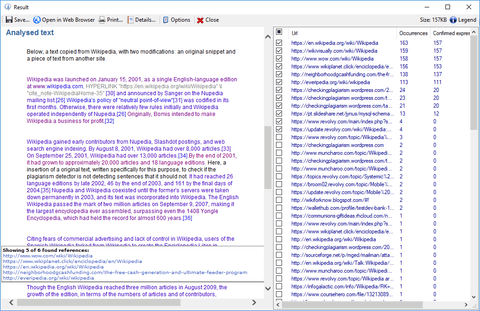 Scan a page on the internet: If the text you want to analyze is on a website, page or blog, with the Plagius Professional you can enter the URL and the program will search for similar passages on the internet. For full operation, we recommend disabling Firewall and Antivirus, or add Plagius in the exception list of these programs. Did you lost your activation key? Free from viruses, spyware or hidden programs. Besides being easy to uninstall. 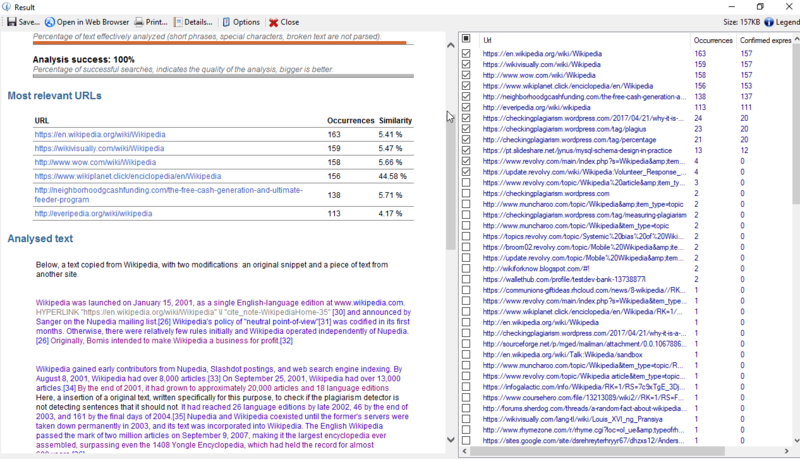 See the Virus Total report. Enter the email used at purchase to retrieve your activation key. If the email is correct, an email will be sent with your activation keys.